The perfume house Dana is known primarily for its women's fragrances. Legendary spicy Tabu, floral Chantilly, and oriental Emir have become popular examples in its genres. Recently, we were telling the story of the Canoe Dana transformation from a feminine to a masculine fragrance. 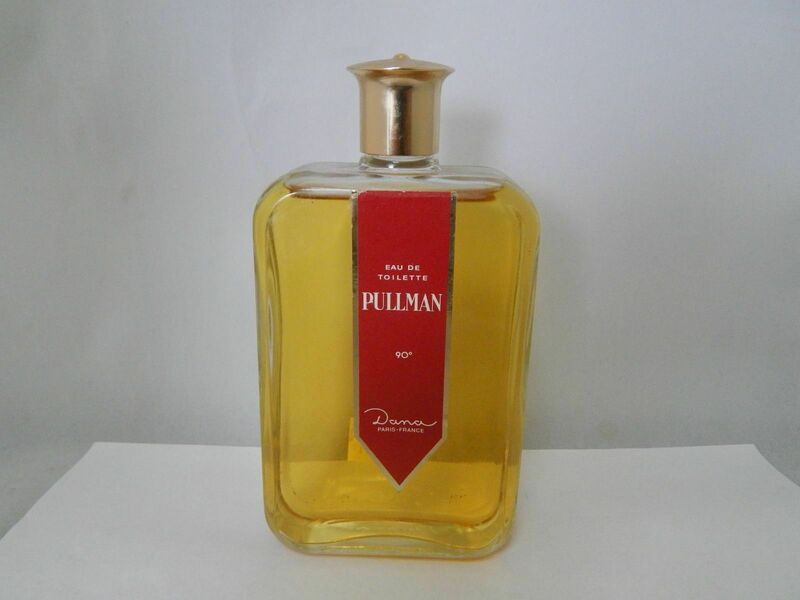 Today, our review will be devoted to another fougere cologne, Pullman Dana, which was a masculine from its appearance in 1968 up until its discontinuation. The name of the fragrance comes from the Pullman sleeping cars, which started to travel on United States railways in 1867, and then in other countries of the world. 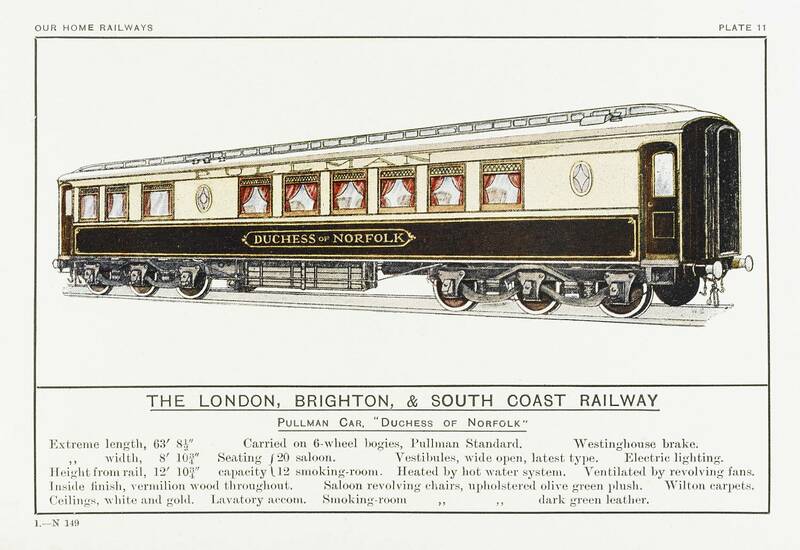 They had really luxurious first-class interiors with carpets, upholstered sofas, a library in the cars, and each passenger had a sleeping place and their luggage was carried by individual Pullman porters. It was home-sweet-home comfort on the railway. 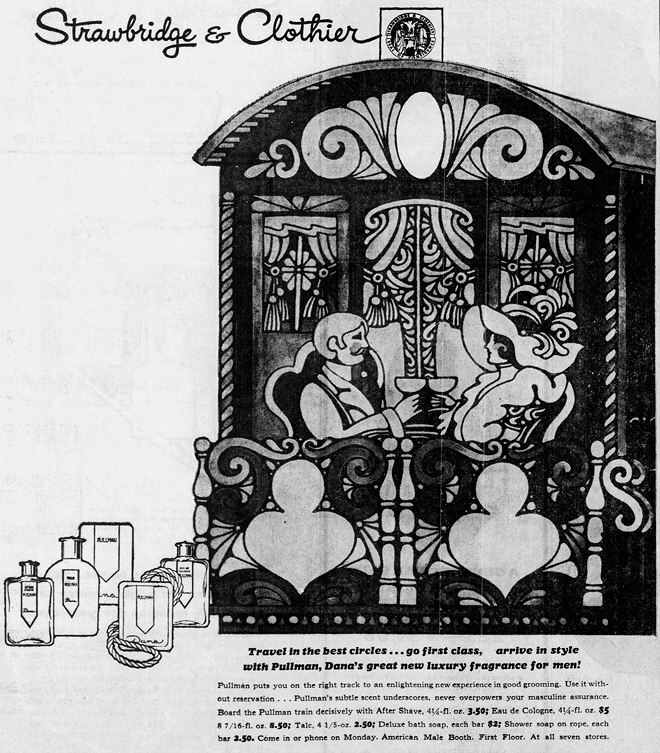 The production of Pullman cars was discontinued in 1968, and it can be assumed that the the fragrance launch was associated with this. Firstly, the Pullman corporation could afford it, as it built the eponymous city near Chicago in the 19th century (1880-1884). It is rather possible that Dana managed to buy or register the rights for the name earlier than others. After a hundred years, the word Pullman has become a household name, denoting the luxury of first class and maximum comfort. This household name has been used not only by Dana but also by Mercedes-Benz in several executive class models. 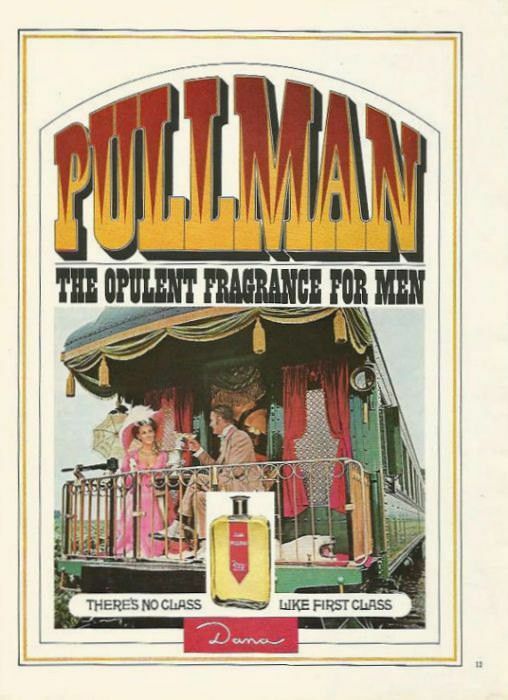 The Pullman materials read like the brand is both a true luxurious perfume line and as a naive advertisement from the time of perestroika. An extremely traditional aromatic fougere, Pullman Dana opens with a sweet and transparent anise-lavender wave. 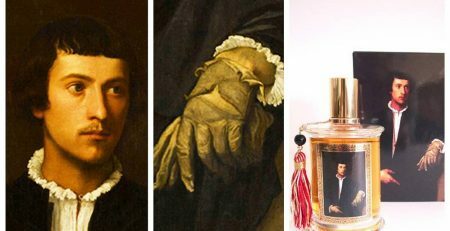 When the anise is completely replaced by lemon, the freshness fades and the cologne drastically reduces its intensity and projection. There are some dry herbs of Provencal cuisine and light powder that remains, as well as a dry woody base with a little noticeable sweetness. 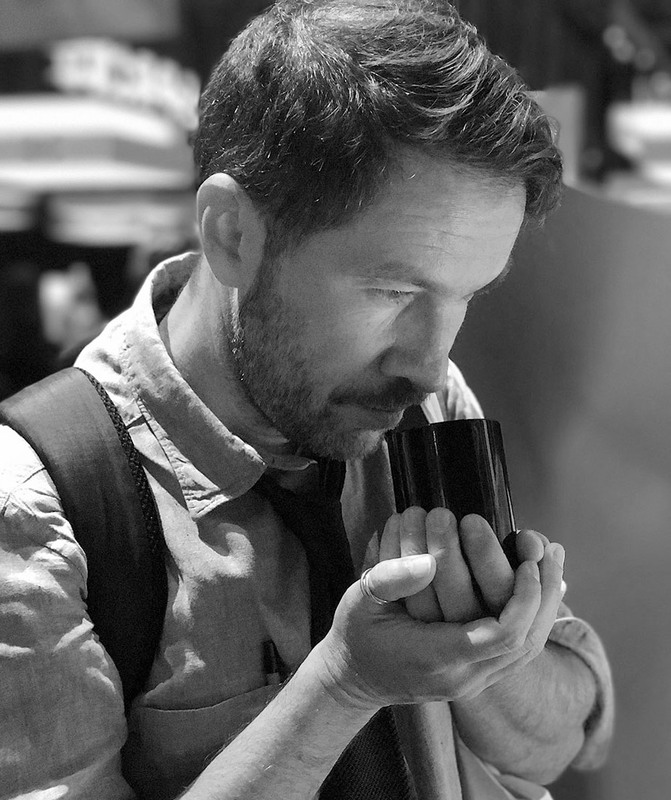 It's the cologne of old-fashioned purity and hygiene, and equally far from luxurious beauty or excessive virility. It is a classical fougere soap in its liquid cologne reincarnation, not very far from the famous English Lavender Yardley. Interestingly, this gentle fragrance is in total harmony with the idea of traveling in a small, confined space. In addition, long, narrow kitchens are also called Pullman kitchens. 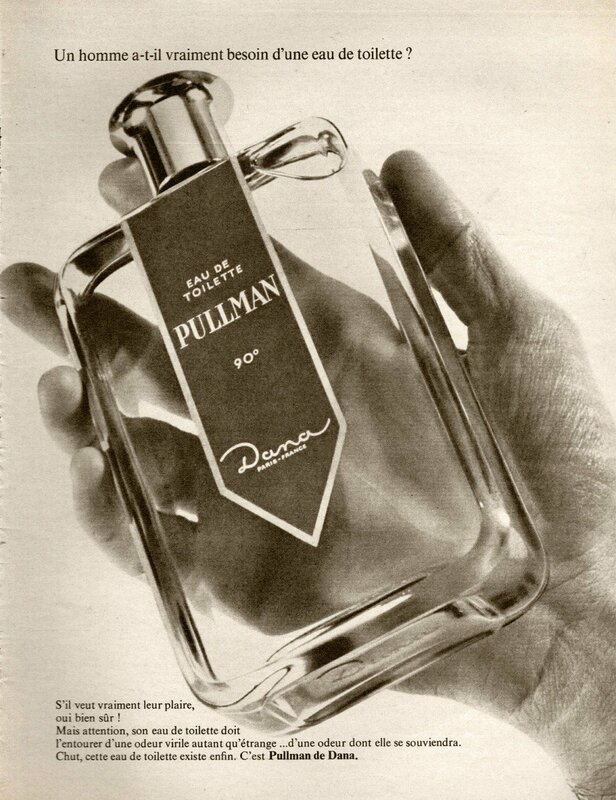 In any case, Pullman suggests that this fragrance should not be overly powerful in order to spare the feelings of others. This Pullman Dana advertising sounds like a call for cleanliness and collecting all possible options for fragrant products. As they say, true rich men never limit themselves to soap and aftershave only. 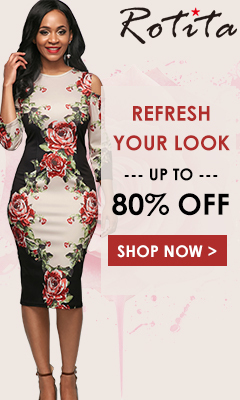 First-class people know how to smell and how to care about themselves, so don`t be shy–become a first-class man for only US$5. Currently on eBay you can still find several versions of the cologne, but a miniature is more than enough for reference. Base notes: Moss, Tonka bean, Heliotrope, Cedar, Vetiver, and Musk.